This last month she made some big steps though after seeing other mamas on trail in the Hike it Baby 30 pictures and she put her stroller away, and really gave it a go at double wearing. 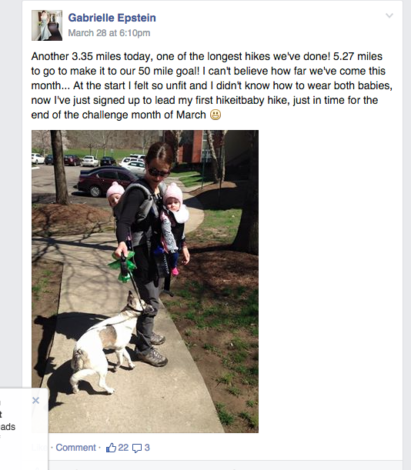 In the private Hike it Baby 30 Challenge room we all cheered her on when she posted her first selfie picture outside walking a mile with her twins and dog. We could literally feel her excitement at this new step. 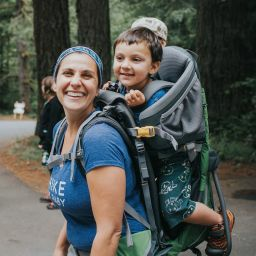 Once she felt comfortable getting out there and carrying two, her next challenge was finding a comfortable carrier option. 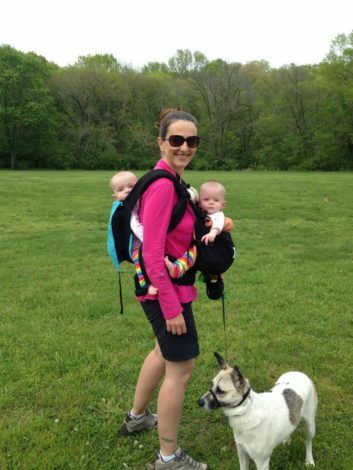 Lucky for Gabrielle she won the Twingo from the Hike it Baby 30 Challenge and now there’s no stopping her and the babes. She’s on the move. Go Gabrielle! We caught up with her after a few weeks of Twingo-ing and here’s what she had to say. How does your new Twingo feel? It feels sooo comfortable. I already own a handful of other carriers and compared to them this is easily the most comfortable. I love the big pockets; of course with twins I have lots more stuff to carry, and with one on the front and one on the back there’s no space for a backpack the big pockets are vital. It’s also great that the two parts pack into their own pockets; I hate how unwieldy most carriers are to transport around. What was your pre Twingo experience with carrying two and do you think this new “tool” will make you get out more? It’s only very recently that either of my small preemie twins have gotten big enough to be able to be back carried. In the past I’ve used a Weego Twin to carry them both on the front but they quickly outgrew its restrictive design (I think that carrier is best for newborns) and wanted to look around. Also front carrying two was a neck and back killer! We’ve had an Ergo all along which we both love and as soon as Juliette was able to be back carried in that it allowed me to start tandem wearing with Mia on the front. She was in a front-facing Infantino carrier which she loves but having that and the Ergo on my shoulders was really painful after not very long at all. With the Twingo the whole thing is supported with only two nicely cushioned shoulder straps which has really been a game changer. Plus most of the weight feels supported by my hips rather than my shoulders, which I’m able to bear so much more easily. This carrier has already got me out and about more. It’s allowed me to be more brave and do exciting and adventurous things like “go to the supermarket”! 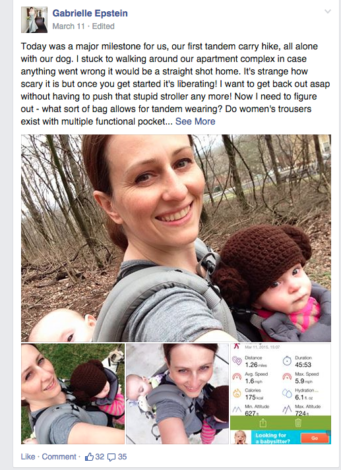 I can easily put them in and out of it from the car and wearing both allows me to get the shopping – 9 months old and I’m finally able to go to the supermarket! It’s also been great around the house… I’ve started doing housework while wearing them both. I had tried that with my previous tandem set up but it was just too cumbersome and painful on the neck. Now I can actually get some stuff done without a baby crying to be held! I managed 50 miles during the March challenge and I think that with this carrier I should be able to exceed that. Since the March challenge I’ve started to feel so strong! Now I’m striding around carrying 27 lbs. combined weight walking my dog up hills and it’s liberating! So if I can stand the high June temperatures I’m confident with this comfortable carrier I’ll be able to do even more, weather and baby-moods permitting! What are some of the things you noticed about the Twingo? I was surprised at just how much of the weight was carried by my hips and how the shoulder straps felt more for balance/weight distribution. Ok so in all honesty, any potential drawbacks to the double carry? Only the base carrier as a stand alone unit which is great. I haven’t tried the other part in that way yet. I did have an Ergo, a Mei Tai, two of those front-facing Infantinos, a Weego Twin and was experimenting with woven wraps and ring slings. Of all of these the SSCs are our firm favourites and the front facing Infantinos were the girls favourites. We’re still weening off those other carriers that we’ve gotten so used to and familiarising ourselves with the Twingo, but it seems like I won’t need to keep lugging around all of those carriers every time we go anywhere because the Twingo works as one each for my husband and I or a double for me, plus the girls are so happy in there too. What about your freedom do you feel a difference with your experience as a twin mom having a good carrier? Absolutely. As already outlined, before I felt encumbered by all the straps and the neck and shoulder pain and didn’t feel I could really go far or for long with my previous set up. With the huge double stroller we have it’s not practical to go to the supermarket, for instance, because there’s nowhere to put the groceries. People have told me to push the stroller and pull the shopping cart! That sounds absurd! So I’ve waited until the weekend every week so that my husband and I could go out together to do this sort of thing wearing one each. Since I got the Twingo I have ventured out and done the “big shop”, somewhat successfully! The only problem was that so many people wanted to stop and ask me about the twins and about the carrier that my babies got cranky from the trip taking too long! I had several mothers and relatives of multiples come and ask me about the carrier too! This week I was invited to a festival downtown with friends which I was nervous about attending so I took the big stroller as backup and wore them in the Twingo and ended up just pushing the stroller around uselessly the whole time. I’m slowly gaining confidence about leaving such crutches behind and trusting the carrier! Anything else you want to share about it? My husband says it makes me look like a delta force special ops mom! What was the hardest thing about double carrying before the Twingo? Definitely the shoulder, neck and back ache, and the need for so many carabiners to attach my stuff to me that I felt like a Christmas Tree because of the lack of pockets. 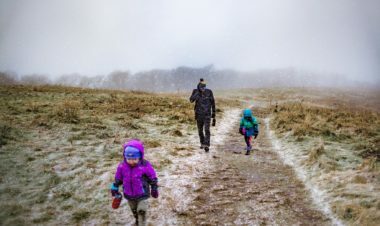 What advice do you have to give twin mamas trying to get out there. Practice! I practice putting the carrier on and off with my husband present, in front of a mirror and on a bed or couch. Once I’m familiar with the method I practice wear it around the house a lot. Then I practice wear to the mailbox or walking the dog once around the block. Gradually I was confident enough to try it from the car instead of from the house. Eventually it becomes second nature and you wonder what you were ever worried about! 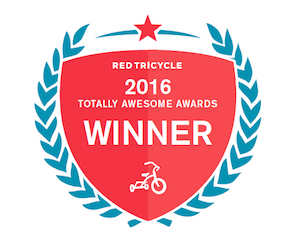 Thank you Twingo for supporting Hike it Baby and for making an awesome product for families getting out there with multiple kids!